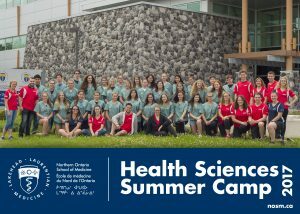 This year (2019) will mark the fourteenth time that NOSM has hosted week-long summer camps for high school students interested in a career in health care. 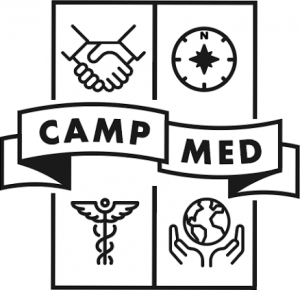 Formerly known as NOSM’s Health Sciences Summer Camp, CampMed features new branding and a renewed focus on four core learning areas. 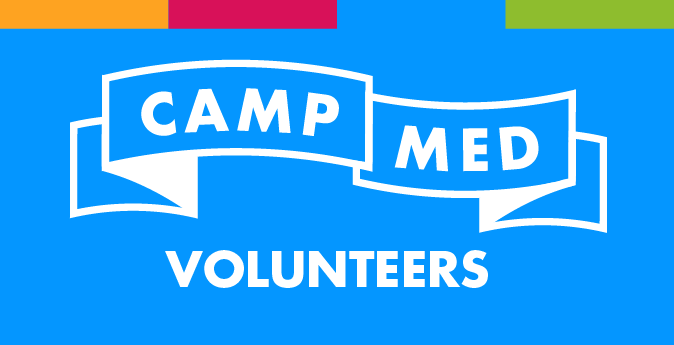 CampMed is founded on four pillars of learning. From top left and going clock wise, the icons in the new branding represent interprofessionalism, leadership, culture, and clinical skills—the knowledge and skills that students gain from attending CampMed. 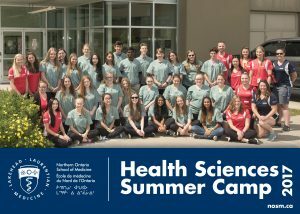 Interprofessional: Participants attending CampMed learn the importance of interprofessionalism in health-care settings by learning about various health careers and how those professionals work together to ensure the well-being and health of patients. 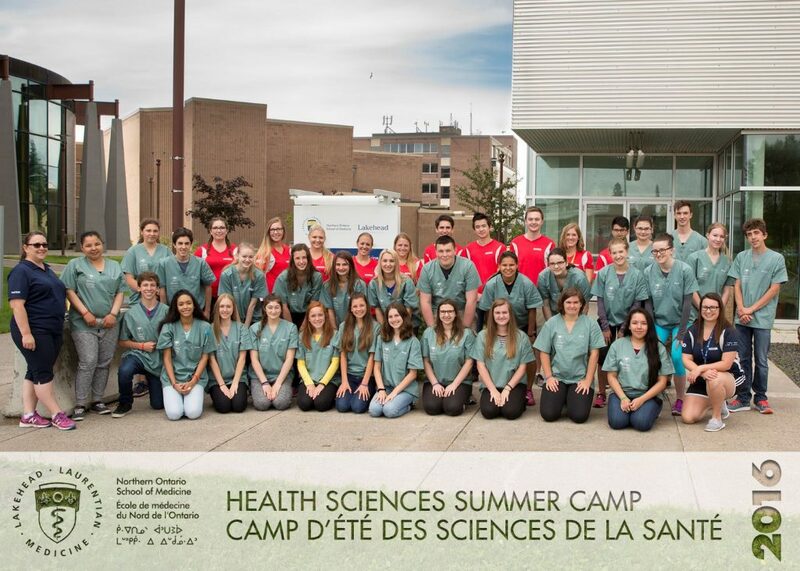 The majority of the interprofessional learning at CampMed is provided by the health-care professionals who participate in the career fair as well as their mentors who are the NOSM’s students and undergraduate student volunteers from Northern Ontario. Leadership: Throughout the week, the CampMed participants are provided with opportunities to observe the leadership skills of their mentors to build on their own leadership skills set as they are placed in situations that give them a safe setting to step out of their comfort zone and challenge themselves to lead. 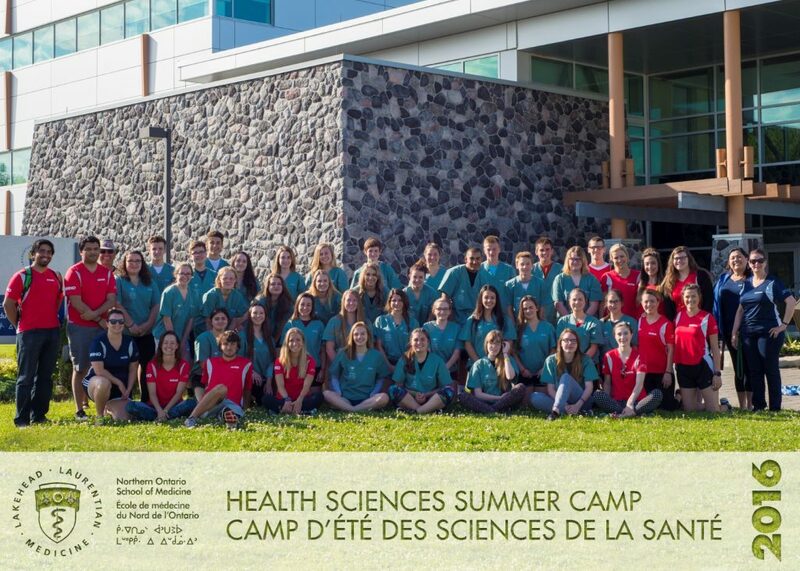 Cultural: At CampMed, participants will learn about Francophone and Indigenous health and culture in ways that will broaden their understanding of health needs of Northern Ontario. 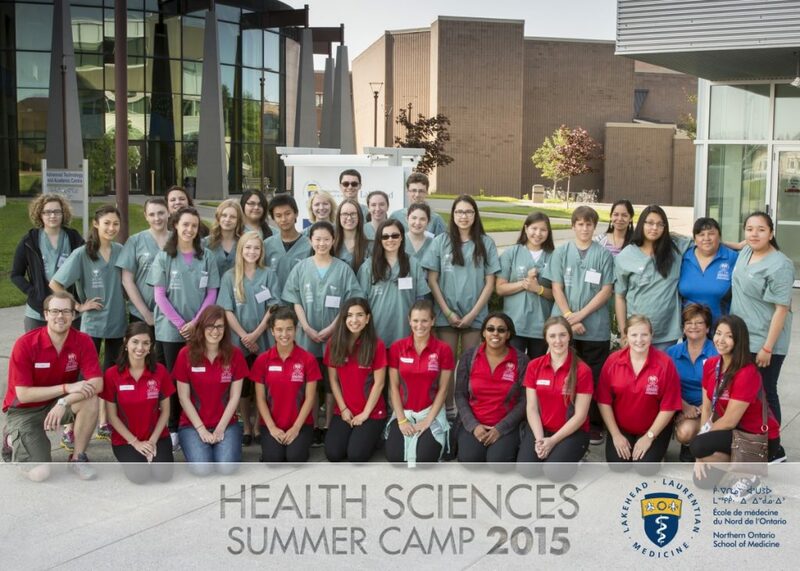 In simple terms they learn what it means to be a socially accountable health professional. These cultural competencies are woven throughout the week-long curriculum. 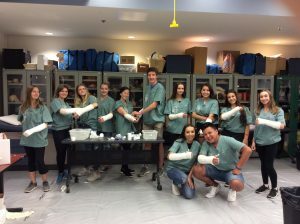 Clinical skills: CampMed offers participants a unique opportunity to get hands-on experience by learning medical and health sciences clinical skills, such as casting, inserting an NG tube, suturing, etc. 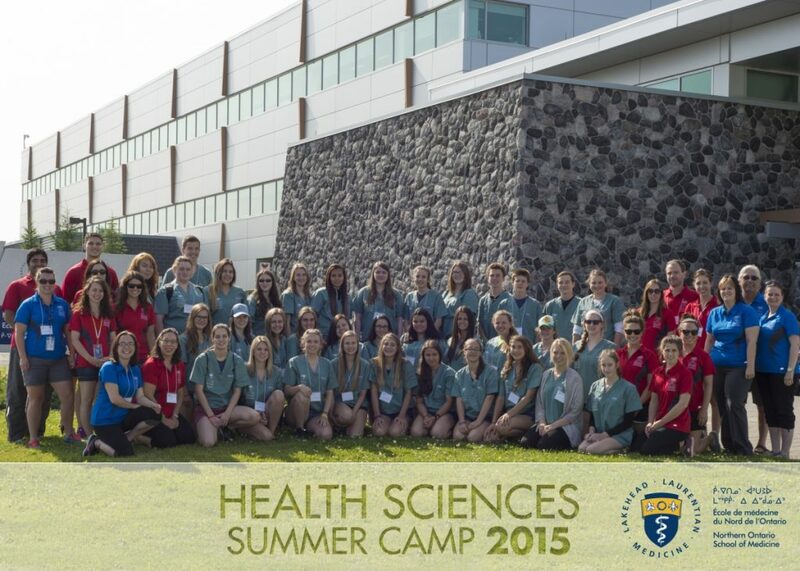 Explore the activities you have the opportunity to take part in while attending CampMed. 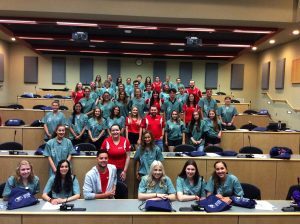 Find out information on how to apply, eligibility, registration fees, and deadline dates for application. 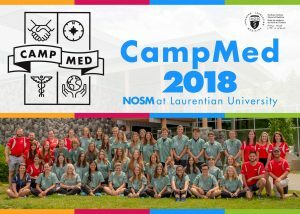 If you are interested in Health Sciences, thinking of applying to medicine in the future, or need to build up your resume with volunteer experience, then NOSM has an exciting opportunity for you! 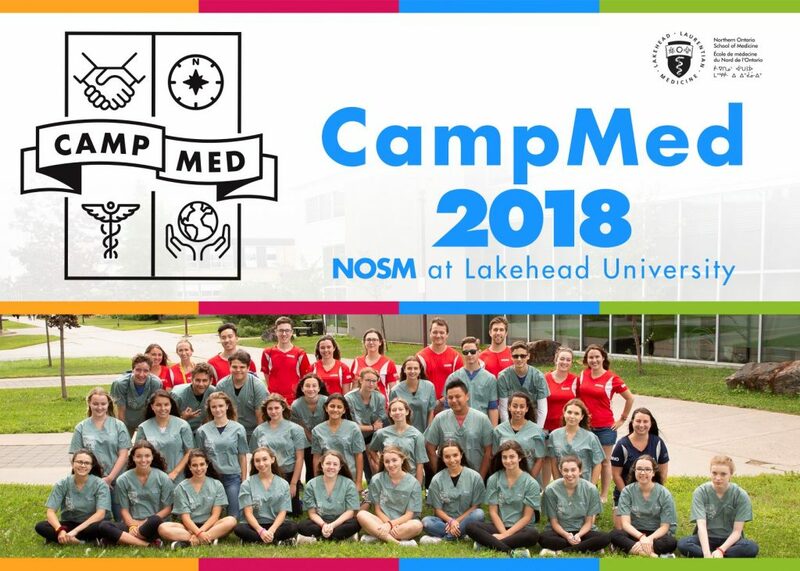 The chance to attend NOSM's CampMed can be a life changing experience that some students will miss out on because of finances. 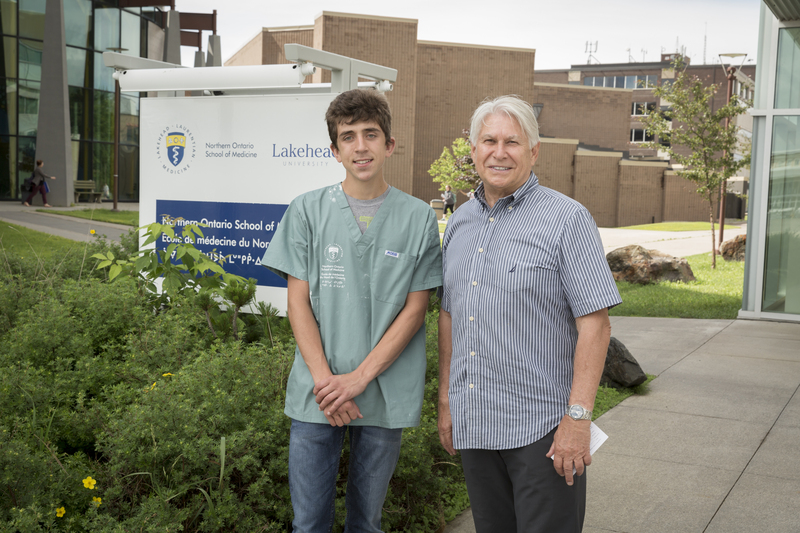 Please consider sponsoring a student.